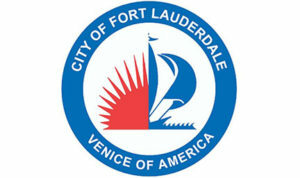 Fort Lauderdale is a great city and Ranger Technical Resources is proud to be included in the strategic plan to keep it that way! Victoria Ranger, President of Ranger Technical Resources and Ranger Good Works, was chosen to be a participant in Mayor Jack Seiler’s delegation to the National Civic League. She, along with an amazing delegation led by City Manager Lee Feldman, presented Fort Lauderdale’s story, which earned the city a place in history. The City of Fort Lauderdale was named as one of ten cities, nationwide, to earn the distinction of 2014 All-America City by the National Civic League. More information on this event and the full announcement can be found here. “Our citywide vision and strategic plan reflect our commitment to working in partnership with our neighbors to address challenges and develop transformative solutions to move our city forward,” Fort Lauderdale Mayor John P. “Jack” Seiler said in a press release. “Through bold ideas, innovative partnerships, and passionate civic engagement, we are building community, enhancing quality of life, and creating a vibrant, inclusive and sustainable city,” Seiler said. Mayor Seiler’s policy helps to facilitate our philanthropic efforts, which have been part of Ranger Technical Resources’ core foundation since our inception in 1996. We love our City and choose to give back to the community whenever we can. 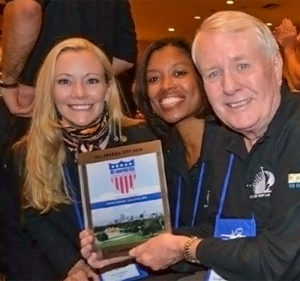 The National Civic League announced the ten All-America Cities on June 15, 2014. The award is given to communities for outstanding civic accomplishments. This year had a focus on healthy communities–efforts to address challenges such as obesity, chronic illness, physical inactivity and the need for safe routes to school and walkable communities. For two days, groups of civic leaders and community activists met in Denver to present their stories of positive change to a jury of civic experts and to network and exchange ideas and insights. The 2014 All-America Cities applied grassroots efforts to address such issues as childhood obesity , economic development, neighborhood revitalization, and greenway development. They engaged the public directly in budget-making, city planning and communitywide fitness programs. They promoted local arts and cultural opportunities, reduced high school drop-out rates and turned polluted brownfields into parks. Angela Brown, Principal of Dillard Elementary, Victoria Ranger, President of Ranger Technical Resources, and Phil McNally, Area President of Paradise Bank, presented on the Dillard Innovation Zone. The Dillard Innovation Zone Promise Neighborhood was created to cultivate community collaborations, support school improvement efforts, health service interventions and business opportunities in one of the city’s most distressed communities. Dillard Elementary has a long history dating back to the early development of the city. About 80 percent of the school’s students are African-American. A partnership with Paradise Bank and Ranger Technical Resources led to the development of an on-line portal for fundraising, recruiting mentors, marketing and promoting investment in the school and its students. Another project sought to improve student literacy by focusing on parental reading and language skills. Major accomplishments of the school and partnerships range from increased parental involvement, afterschool and in school mentoring programs, as well as strengthened community and business involvement. One outcome of the partnership is that Dillard Elementary has been removed from the list of 100 lowest performing schools in the State of Florida. The story of Flagler Arts and Technology (FAT) Village is about the reinvention of a desolate, crime-ridden area into a four block-long arts community in downtown Fort Lauderdale. The vision began with Dan McGraw who saw the potential for transforming a rundown warehouse area and began purchasing property. He recruited a master puppeteer, a local photography and media company, an event planning and marketing business, an advertising agency, a local theater company and an architecture firm. A grassroots group of artists and merchants worked to clean up the area, which had been a haven for drug dealers. The area has been reinvented through events such as the monthly Art Walk, which provided the opportunity for visitors to stroll through art galleries, artist studios, and a prop warehouse and see theater performances and puppet shows. The art district has helped make Fort Lauderdale a magnet for members of what author Richard Florida calls “the creative class” by providing an attractive, livable urban environment.